“Detroit” and “An Inconvenient Sequel” posted very strong numbers in their limited openings last week, but The Weinstein Company’s “Wind River,” the directorial debut of “Hell or High Water” and “Sicario” writer Taylor Sheridan, did even better in its four-screen opening this weekend with an estimated total of $164,167. That’s a per screen average of $41,042, exceeding the $32,500 posted by “An Inconvenient Sequel” last week. 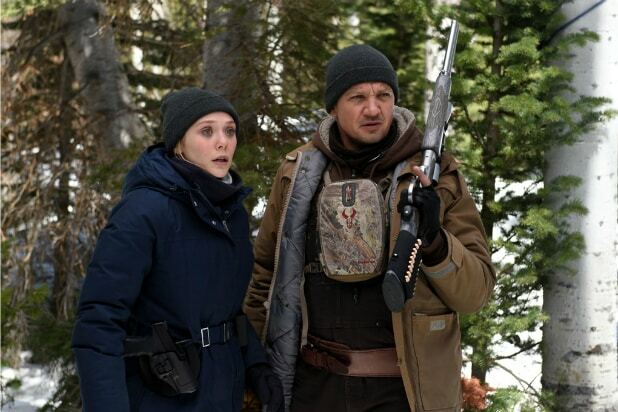 “Wind River” stars Jeremy Renner as Cory Lambert, a U.S. Wildlife and Fish Service agent who discovers a dead body at the Wind River Indian Reservation in Wyoming. Joined by a rookie FBI agent named Jane Banner (Elizabeth Olsen) who is not used to the oppressive weather of the Rocky Mountains, Lambert unravels a murder mystery that plunges them both deep into the savage sides of man and nature. Sheridan wrote and directed the film with Elizabeth A. Bell, Peter Berg, Matthew George, Basil Iwanyk and Wayne Rogers as producers. The film has an 88 percent “Fresh” rating on Rotten Tomatoes. Paramount/Participant’s “An Inconvenient Sequel” expanded to 180 screens this weekend and grossed $900,000 for a PSA of $5,000 and a total of just over $1 million. Another documentary, Fox Searchlight’s “Step,” had similar results with $145,000 from 29 screens for a PSA of $5,000. Directed by Amanda Lipitz, the doc follows a girls’ high school step dance team in inner-city Baltimore. The film has a 94 percent RT rating. Also debuting in a two-screen release is Superlative Films/Depth of Field’s “Columbus,” the directorial debut of Korean filmmaker Kogonada. The film stars John Cho and Haley Lu Richardson as two Korean-Americans who meet in Columbus, Ohio, and discuss their dreams while taking care of their ailing parents. The film, which was featured at this year’s Sundance, made $28,800 this weekend and holds a 97 percent RT rating. See Wind River's latest POWER MOVE. Finally, there’s “Wolf Warriors 2,” a Chinese action film about a loose cannon soldier who protects an African village from local warlords and foreign drug dealers from the Western world. The film made $503,000 in its U.S. opening last weekend and passed the $1 million mark this weekend with $460,000 from 32 screens for a PSA of $14,375. But the big story for this film is the records it is setting in its home country, where it has grossed $406 million and passed “The Fate of the Furious” to become China’s No. 1 film of 2017. That total is also the second-highest single-territory total made by a movie this year, higher than the near $400 million made by “Wonder Woman” in the U.S. and second only to the $504 million made domestically by “Beauty and the Beast” this spring. 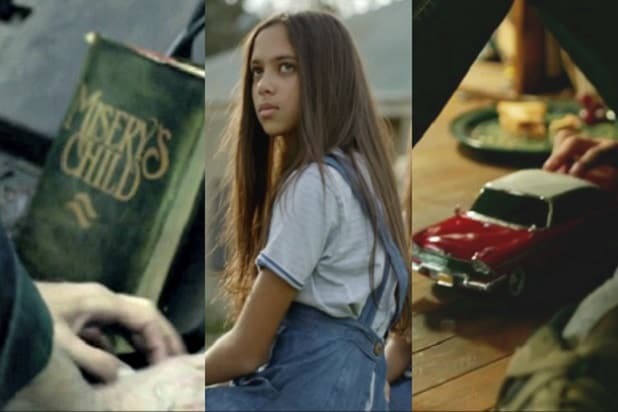 Way before "The Dark Tower" hit theaters, Hollywood had adapted a huge number of stories by author Stephen King, the latest of which is filled with hidden Easter Eggs and callbacks to his other works. Here are all of the secret references to King, and what they mean. Warning: Light spoilers for "The Dark Tower" within! The opening scene of "The Dark Tower" shows an idyllic-seeming neighborhood full of kids, including a pair of twin girls in blue dresses. They look like the Grady twins, the two ghostly girls from "The Shining" who want Danny Torrance to play with them forever and ever and ever. Parked on the desk of Jake’s therapist is a black-and-white photo of a particular hotel: the Overlook, the setting for King’s novel “The Shining.” That’s where Jack Torrance goes mad thanks to the influence of the evil, supernatural structure and tries to kill his son Danny and wife Wendy. Walking by as Jake heads home is a big St. Bernard dog, which serves as villain in “Cujo.” In that story, the dog contracts rabies and terrorizes a town, turning from a lovable pet to a frightening, lethal creature. Stephen King has quite a few stories in which vehicles come to life and murder people, and “Christine” is probably the best known. The red 1958 Plymouth Fury is represented in "The Dark Tower" as a model Jake’s friend Timmy plays with early in the movie. In “Christine,” a supernaturally alive car gets jealous of anyone who gets close to its owner and turns homicidal. When Jake finds the house he saw in his dream in Brooklyn, it's adorned with a threatening sign warning of an attack dog. The sign calls back everyone's favorite scary junkyard dog, Chopper, from "Stand By Me." Wandering through the woods of Midworld, Jake and Roland come across the ruins of an old theme park, suggesting some weird things about the world’s past. The title for one of the wrecked rides is Pennywise, the scary, shapeshifting clown from “It” that murders folks in the town of Derry. Reaching various locations using sci-fi portals in “The Dark Tower” requires putting in pairs of numbers that serve as addresses for where the portal will take you. When Jake and Roland use the portal in the village to return to New York, Jake notes the return address above it: 14-08. That's the number of a haunted hotel room from the King story of the same name, where a writer who debunks hauntings finds himself trapped in a possessed hotel room. About midway through "The Dark Tower," the villainous Walter leaves a message for Jake written on a wall, with an extra embellishment: A smiley face. It's a bit of a stretch, but the other place King has made ample use of villainous smiley faces is in his novel "Mr. Mercedes," where the serial killer of the same name uses a smiley face with teeth and sunglasses to taunt the detective trying to catch him. Hanging out on one of the consoles where Walter's minions control the big laser he's using to attack the Dark Tower is a copy of "Misery's Child." It's the book Annie Wilkes tries to force author Paul Sheldon to write to resurrect his beloved character Misery Chastain in "Misery." Near the end of the movie, as Jake and Roland leave the Dixie Pig in New York, they pass a sign for a business called Barlow & Straker’s. The business partners appear in “Salem’s Lot” as antiques dealers, but with a twist: Barlow is actually a vampire, and Straker is the human who protects him during daylight hours. “The Dark Tower” makes use of a concept that pops up again and again in other Stephen King novels: the psychic ability he refers to as “shine” or “shining.” That ability is what is at the core of “The Shining” and its sequel “Doctor Sleep,” both of which are about the original kid with the shining, Danny Torrance.